As national figures show getting into credit card debt that becomes problematic is not very hard to do, especially if a job loss temporarily affects your ability to pay it off. It is also of course very tempting to overspend on credit cards and lenders do not always make resisting that temptation any easier with promises of cash-back and rewards being dangled all the time. According to the US Census Bureau the average credit card debt held by American households in 2010 was $5,100 and they projected that would rise to $6,100 by the end of 2011. Overall the Census Bureau said there was $886 billion in credit card debt in the United States and that figure is also predicted to continue rising. So if you are one of the millions of Americans facing a credit card debt situation that is beginning to get out of control what is the best way to pay off credit card debt as quickly and efficiently as possible. One of the biggest questions those trying to make a plan to pay off their credit card debt is which card should be paid off first. The sensible answer is to deal with the highest interest credit cards first, simply because those balances are the ones costing the most money. Therefore you should make minimum payments on lower APR credit cards to deal with those high APR balances first. A credit card holder has two big credit card balances they are worried about. One is $5,000 being carried on a credit card with a 29.99% interest rate. The other is a $2,500 balance carried on a card that has a low 9.99% interest rate. Here’s how much it actually costs you in accrued interest to pay them off if you were to try to make a minimum combined payment of $300 a month on both cards while also making an additional $50 a month payment on one of them. As you can see by doing the math by paying off the highest interest balance first you will save $309, which can then off course be applied to the lower interest balance paying that off more quickly as well. Morale boosts are nice but saving money while paying off credit card debt faster is even better. The one rather simple tactic that many people in credit card debt overlook is paying on their credit card balances on a bi weekly instead of monthly basis. Most people are actually paid on a bi weekly, not monthly basis these days so getting into the habit of paying on your credit card debt every time you are paid should be easy to do. This will also help you pay down your credit card debt faster. The reason for this is that you simply end up making more payments over the course of the year as most months on the calendar actually consist of more than four weeks. There will be at least two months of the year when you get three pay checks instead of two, so you will make three payments on your credit card instead of two. It may seem insignificant but it really is not. Using your savings to pay off credit cards is a somewhat controversial tactic that some financial experts think is a great idea while others feel it is not such a great move at all. It does make a lot of sense though as your credit card debt is costing you money every day it exists and using your savings to pay it all off means you will be able to start saving more money right away. You should only use money that you have a in a traditional savings account though, taking money out of a 401K or other retirement fund is not a good idea. These types of accounts charge penalties and interest for taking money out of them too so you would still be losing money. Many people who find themselves in serious credit card debt do begin looking into the option of taking out a loan of some kind to clear those debts (which thanks to the interest being charged do keep growing) and “start over” with a fresh slate. If you own a home and have built up some equity in it refinancing your mortgage with a cash out option is one avenue that may be available to you. Provided you do your homework and ensure that you are getting the best possible deal with a monthly payment you will be able to meet this can be a very smart move. Not only will you be transferring the debt you owe on your high interest credit cards to the much lower interest rate mortgage but often a homeowner can actually secure a better second mortgage with an even lower interest rate and better terms when they refinance. On the down side credit card debt is unsecured debt. And refinancing your home may be a risk not worth taking if the payment will increase significantly as being in credit card debt is not a good position to be in but losing your home is an even worse one. 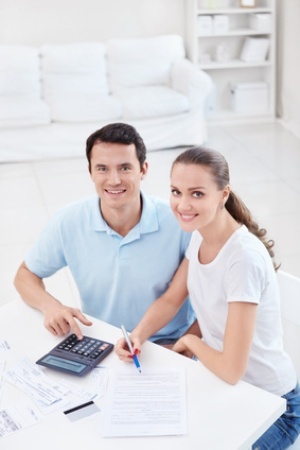 A debt consolidation personal loan is another option open to many people with significant credit card debt but again, a lot of research should be undertaken by anyone considering one to make sure they are not getting in over their head or falling for a scam, as unfortunately there are a lot of them out there.